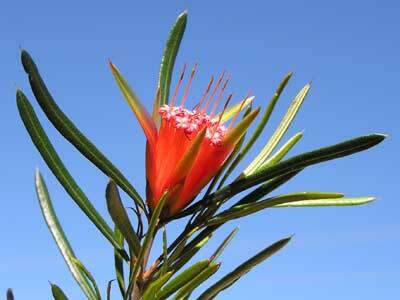 Although it has a glorious vivid red flower, the Mountain Devil is named after the woody "fruit" it bears. 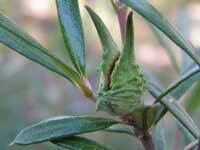 The Mountain Devil is mainly found around Sydney and adjoining ranges. 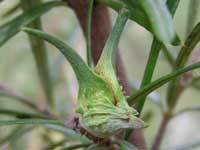 It grows up to 2 metres tall and each leaf ends in a sharp point. 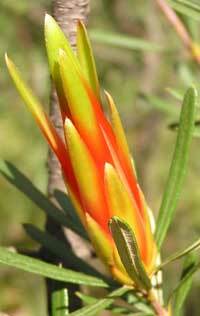 There's only one species of the Lambertia genus on the east coast - but a further 9 in Western Australia. The genus is endemic to Australia. 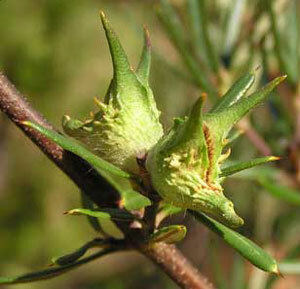 It typically has a cluster of seven flowers - although clusters occasionally have more flowers - see image on right. Although primarily spring flowering, some flowers are produced throughout the year. 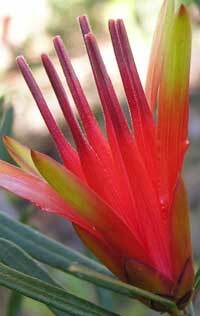 The red and green buds are spectacular in their own right, providing an iridescent show as they unfold into flowers which are 50mm tall. 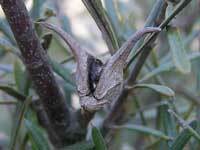 The leaves of the Mountain Devil are very distinctive. 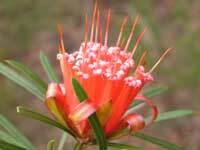 Pollinated by birds, a cluster of flowers usually produces only one Mountain Devil. 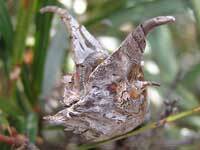 However it is not uncommon for two, three and even four "devils" to emerge. The Mountain Devil darkens and hardens like the wood it is. The devils are 20mm tall. 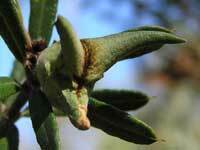 Here are some more images of the woody fruit of the Mountain Devil, both newly formed and aged. The photos were taken in the Lane Cove National Park and in the upper Blue Mountains.